South Africa's first fulltime community TV channel, Soweto TV, is planning on covering a bunch of upcoming festivals that will be happening in and around Soweto. First there's the Soweto Joy of Jazz Festival that will be taking place in Newtown from August 23 to August 25. The channel will be bringing you red carpet interviews, showcasing Jazz artists as well as highlights of the day’s events. On September 7 and 8 the Wine Festival will be taking place in Soweto and the channel will cover all the happenings that will be taking place, including interviews with the wine makers and the celebrities that will be attending. The Standard Bank Soweto Festival will be taking place from September 21 to September 24. Soweto TV will be interviewing passersby, covering the show as well as daily events and they will also be covering the Five Roses Beauty pageant. Soweto TV will also cover the grand opening and VIP launch of the brand new Maponya Mall opening on September 27. The Soweto TV crew will be interviewing people, running competitions and more. If you attend any of these events you could be interviewed by Soweto TV. You can also visit the events if you want to find out more about the community channel. A Youth Talk Show that covers topics affecting the youth of Soweto. Topics include alcohol abuse, teenage strippers, relationships, education, teenage pregnancies and much more. The show is presented by Luzuko Qabanisa and Samu Mathebula and they’re joined in studio by Lesego Tau, the resident advisor. This women talk show tackles issues that are relevant to women in and around Soweto. Discussed on the show are general and social issues such as motherhood, parenting, inspiring stories of Sowetan women, fashion, careers, music and lots more. The show is hosted by Phumelele Dlamini and Katlego Msomi. This is a current affairs show that tackles news that is current and of human interest. It is also to inform and educate the community about local, regional and national news that make headlines. Soweto Today’s aim is to make certain that the community of Soweto knows what’s happening around them. The show is hosted by Refilwe Monageng. This is a lifestyle programme that looks at the lavish lives, homes and cars that the residents of Soweto enjoy. As much as this is the show's main focus, Ziyamporoma will also look at people’s hangout spots and activities that take place in their daily lives. It is presented by Karabo More and Simphiwe Golding. An entertainment show specifically for up-and-coming artists, which will also feature established artists. The show also includes profiles of artists as well as "A Day in the Life of…"
On Mondays the programme features jazzy and laidback music to help viewers relax after a hectic weekend. Tuesdays is a Blast from the Past featuring music of days gone by. On Wednesdays Open Door Policy covers Hip Hop, Reggae and Ragga, on Thursdays is Kwaito and House and Fridays are dedicated to the players in the music business such as DJs, critics, writers, events organisers, etc. Open Door Policy is presented by Lerato Kganako and Lehlohonolo “Hloks”. Dipapadi covers live sports, press conferences, interviewing of guests live in studio as well as footage from the field. Dipapadi’s local coverage makes up 80% of the show whilst the remaining 20% is dedicated to International and National sports coverage. Tshepo Thobane presents Dipapadi and Refilwe Khwenyane is the shows field presenter. The first part of this religious programme is hosted each week by a different pastor who’ll discuss a specific topic. During the second half of the show two indigenous choirs with different genres of music will perform live in studio while in between the performances the group leaders will be interviewed by presenters Matthew Moloi and Vicky Vilakazi. In the third segment the show is hyped with music videos by various South African gospel artists. If you’d like to know how to tune into Soweto Community TV follow the easy steps below. Now you are on Soweto TV. 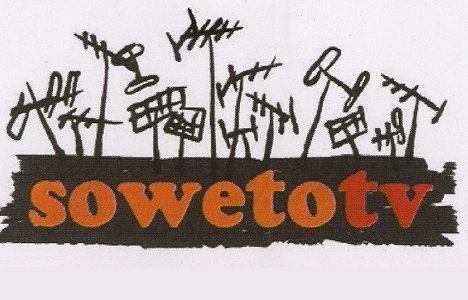 If you have any queries regarding how to tune into Soweto TV you can contact them on their help line, on (011) 939 1102/3. Has anyone watched this channel? Views about it? Opinions? The programs seem interesting, I wonder when it will become avaliable on DStv, because me and manual tuning have gone our seperate ways since the 1990s. Siyabonga, bani zamile lapho eSoweto. and show the faces behind the voices. I am sooo goin to try & watch this, but people that i've asked about it are not really impressed, bt I think we cannot compare this new TV station with the likes of SABC & E-TV I mean really guys.... they are still new there's bound to be some flaws there & there bt I think at the end of day they will get there, we just have to give them a chance. There's a huge potential in this initiative & wish all the guys there Good Luck in making it a success. Access is a big thing, there are so many interesting channels but ppl don't know how to tune in. My DSTV services was once suspended the other day and I was playing around with the remote out of boredom and I stumbled across a very interesting free to air channel, it's called Muzica Network, it plays 100% African music and I was very impressed but I sort of forgot how to find it again the next day, through a bit of research I found out that by simply sms'ing the word "Setting" to 32013, I get the settings sent to me. Soweto TV should try something like that. I've actually watched this at my friend's place sometime ago. Really dont know where to start. All the presenters need presenting 101.....female presenters are sooo ghetto fabulous if u get what I mean. If u've ever listened to Jozi fm.....I think you will get the picture!!! This Soweto TV is bad, really BAD. Whoever is behind this whole thing should be replaced, ASAP. The quality of all programmes is poor, something needs to be done. Tell you the truth you will not be glued to your TV screen just to see what will happen next. The presenters: Its like they've never been trained on how to present and really JOZI FM is behind this whole thing. The presenters think they are on radio forgetting that they are on TV which impacts a negative relationship with the viewer. I wonder why they didn't hire/ search qualified presenters, finacial crisis perhaps???? IM SO GLAD WITH SOWETO TV THE GUYS ARE REALY IMPROVING FROM WHEN THEY STARTED, THE TV IS PROUDLY SOWETAN! IM PARTICULARLY IMPRESSED WITH THE GOSPEL SHOW AND THE SPORTS SHOW,AND THE PRESENTER TSHEPO TOBANE IS HOT AND IS REALY GOING PLACES! HALALA TO SOWETO TV AND KEEP UP THE GOOD JOB! you guys need to get informed. thank you cande.... didnt even check the dates. eish guys ke percy you know few weeks ago i got a call from bongiwe tshedimosetso;s producer she said to me that we have found your email and so we want you for an interview but first we will call you again to confirm.and oh i was so happy you know,telling people about it that am gonna be on tv representing my small movie company.and sadly they still havent called me.and my numbers are simply guys 0762601825 please guys my event is about to happen.